Bird, the electric scooter-sharing startup worth $2 billion, is further differentiating itself from the rest of the pack with the launch of custom, rugged electric scooters. These will roll out in the “coming weeks,” post-beta testing in Los Angeles, Nashville, Atlanta, Baltimore, Austin and Salt Lake City. Dubbed Bird Zero, the scooters have 60 percent more battery life, and better ride stability and durability than the original model. There’s also an integrated digital screen to display your speed. “We call it Bird Zero because it’s the first vehicle we’ve designed and engineered ourselves specifically for the shared electric scooter space,” Bird CEO Travis VanderZanden told TechCrunch this morning. Bird, in partnership with Okai, designed and manufactured the scooter from the ground up. Bird handled the design and Okai handled the manufacturing. But for now, the plan is to continue working with multiple vehicle manufacturers, VanderZanden said. “What I will say is the Bird Zero is designed specifically for this use case so we’re going to keep watching and getting feedback from our rider and charger community,” he said. Many electric scooter companies don’t actually build their own scooters. Instead, they’re slapping stickers and logos on scooters that have been around for years. Lime, Bird and Spin launched using scooters from Ninebot, a Chinese scooter company that has merged with Segway. Ninebot is backed by investors, including Sequoia Capital, Xiaomi and ShunWei. Lime, however, has since partnered with Segway to build scooters and Skip has said from day one that it plans to make its own. The name of the game, VanderZanden said, is to be as customer-obsessed as possible. That’s where Bird Delivery, launching soon, comes in. 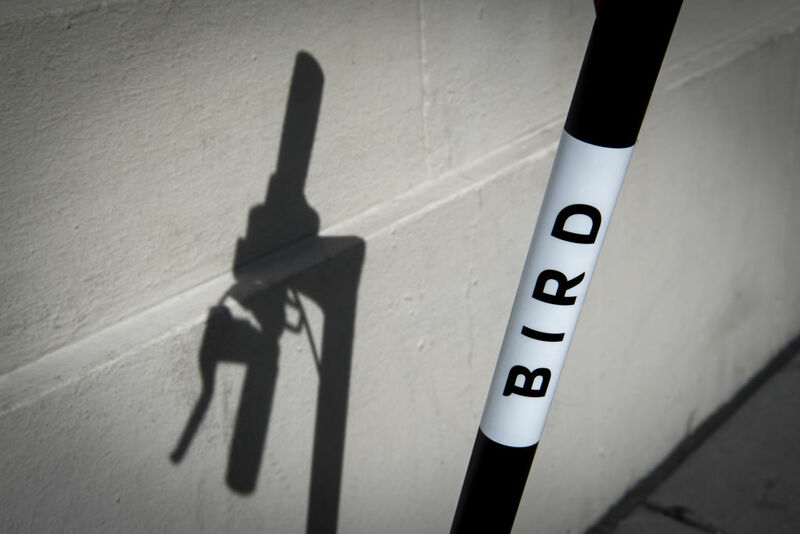 With Bird Delivery, riders can request a Bird be delivered to their home or office by 8 a.m. From there, the rider can use it throughout the day. Bird has yet to determine the pricing but will announce it soon. What VanderZanden would share is that it will make “financial sense for you.” He hypothesizes that, while people could theoretically purchase their own scooters, they won’t because then they’d have to deal with charging, maintenance and storage. Last month, Bird announced 10 million scooter rides since launching about one year ago. To date, Bird has raised $415 million in funding for shared electric scooters and operates in more than 100 cities.